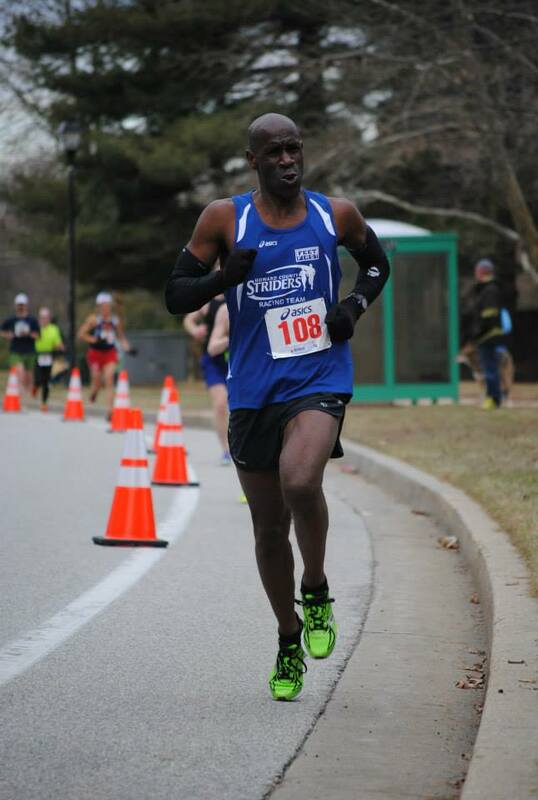 Akintunde Morakinyo has been running with the Striders since 1998. He grew up playing soccer but loved running the 100 and 400 meters. His favorite running memories include: coming in first in the 400 meters in an international students competition in college, his first time breaking 5 minutes in a mile race, and finishing his first marathon. Since his first, Tunde has run over 15 marathons. He has also given back to the running community as a cross-country and track coach with the Howard County Junior Striders and Franklin High School.